I read your teshuva on partnership minyanim and I would like, with your permission, to respond to some of your arguments. In my opinion not all who have learned in yeshiva, in kollel, or even those who have been ordained with the title Rav are permitted to give legal rulings. To be considered a “sage who has attained the ability to give rulings” one needs not only to have knowledge of the entire corpus of Torah, but also to be a person who is balanced in his learning. It is interesting to note that the Maharsha explains in Chidushei Agadot that the word atzumim is from the language of greatness and importance. It would seem at first glance that he agrees with Kevod HaRav’s (your) position that a judge is permitted to issue rulings only if, in addition to being ordained, he is also “great and important.” However, Rashi disagrees with the Maharsha. He explains that atzumim is from the language of “shuts his eyes,” otzem ainav (Yeshayahu, 33), that they close their mouths and do not give halakhic instruction to those in need of such instruction. It is clear that Rashi does not agree with the Maharsha and that, according to his opinion, one who “has knowledge of the entire corpus of Torah,” even if he is not “great and important,” is allowed, even obligated,to give halakhic instruction. “Any scholar”—Refer to the Maharsha in the Chiddushei Agadot of the third chapter on Sotah who writes that in our generation those who give halakhic rulings straight from the Shulchan Arukh, without knowing the reasons behind the issue — if they have not first looked into the sources of the Talmud — err in their rulings and are considered amongst those who destroy the world and therefore it is proper to ridicule them. It is possible that this was true at the time of the Maharsha, when there wasn’t a single commentary on the Shulchan Arukh, but today, after the Taz, Shakh, Magen Avraham, and other commentaries have been written, and every halakha’s reasons and sources have been discussed, it is perfectly fine to issue a ruling from the Shulchan Arukh and later commentaries (ibid., Seif Katan, 8). Anyone to whom God has revealed something, but who refuses to write it down even though he is capable of writing it, steals from He Who Has Revealed it to him, because He revealed it only to be written as it says: “God’s secret is with those who fear Him and His covenant to inform them” (Tehillim, 25:14). And it says, “Your springs will spread outwards” (Mishlei, 5:16). In Chikekei Lev (Yoreh Deah, Siman, 42), Rabbi Chayyim Palagi writes that a scholar cannot refrain from issuing a psak, for doing so is tantamount to one who suppresses prophecy, the punishment for which is death (Rabbi Ovadia Yosef zt”l quotes his words in responsum Yechave Daat, 1:13). And according to the Gemara in Gittin (56a), the Beit HaMikdash was destroyed because of a judge who lacked the courage to speak his mind. Tangentially, perhaps it is important to point out the disagreement between the Rama and Rabbi Chayyim Loew, the brother of the Maharal, as recorded in the latter’s book, Mayyim Chayyim. 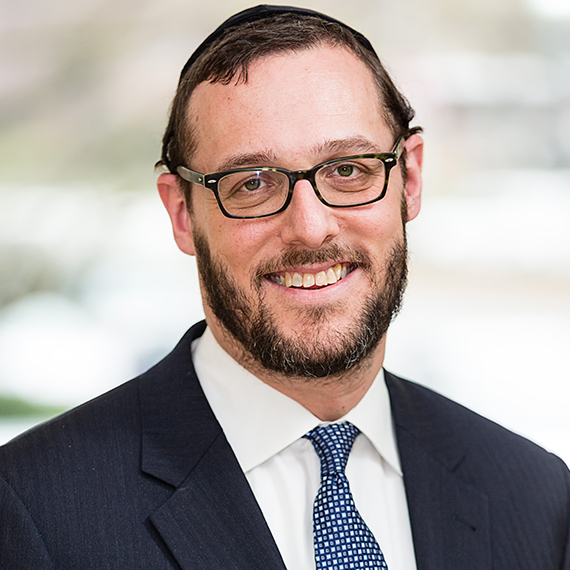 Rabbi Loew strongly disagrees with the Rama’s position of support for a centralized judiciary. He fiercely refutes the Rama in his introduction, using as his basis the concept that “a judge rules only according to what his eyes perceive” (Sanhedrin, 6b) and is therefore opposed to the notion of a centralized authority which decides from a distance what should be prohibited and what should be permitted, what is correct and what is incorrect. Compare what Rav Yosef Dov Soloveitchik z”l wrote in the year 5720 [Divrei Hashkafah, 243], “From the yeshivot emerged students who were punctilious in mitzvah observance down to the very edge of the yod of the tradition….Bnei Torah who slept in the depths of halakha….I am troubled by three negative phenomena….We have yet to educate great Torah giants of whom we can be proud. We have people who are immersed in Torah and even Torah scholars, but no men of great Torah stature. The buds can be seen in the land, but the vine has not flowered in all its glory…. On the one hand, American youth tend to veer towards an extremism that is shocking in its brazenness. On the other hand, often they will tilt in the opposite direction and agree to compromises, choosing the paths of least resistance. In a word, they are confused in the paths of yiddishkeit, and this confusion is the consequence of a flimsy word view. The alert reader will notice that Rav Soloveitchik z”l complains as much about those who are too strict as he does about those who are too lenient. When I was a student of Rav Avraham Yehoshua Soloveitchik Shlit”a in Yeshivat Brisk in Jerusalem, I would often hear him quote Rav Baruch Baer Leibowitz z”l who would say in the name of Reb Chayyim zt”l (basing himself on Mishlei, 17:15) that to condemn a righteous person is no less an abomination than to exonerate an evil person. I understand clearly the character of our generation, that only by virtue of seeing that we permit all that can be permitted according to the depths of the law will they come to understand that that which we don’t permit must be because it is the truth of the law. We will find that as a result of this approach, many will attach themselves to Torah and will listen to the voices of legal instructors. This will not be true if it were discovered that there are matters that, according to the rule of the law, should be permitted but by not being sensitive to the struggles and pain of Israel, rabbis allow these things to remain prohibited. And through this, God forbid, God’s name will be defiled, and more people will say regarding certain areas of Torah that if only the rabbis wanted to they could permit. And through this, a corrupt judgment will emerge. Although the Chatam Sofer famously wrote to the Maharatz Chayut that “we need to elevate the prohibited,” this is a singular opinion. Throughout hundreds of years of halakhic rulings, not a single decisor advanced such an idea, and almost no other decisor has supported this approach since the Chatam Sofer. Kevodo is correct, the sages of Hungary, who followed in the footsteps of the Chatam Sofer, were careful not to publish any books without approbation. However, a cursory glance will reveal that the same is not true of the sages of Lithuania and many of the sages of Poland. Many of them printed their collections of responsa without approbations: the Achiezer, Iggerot Moshe, and the Seridei Aish, for example. 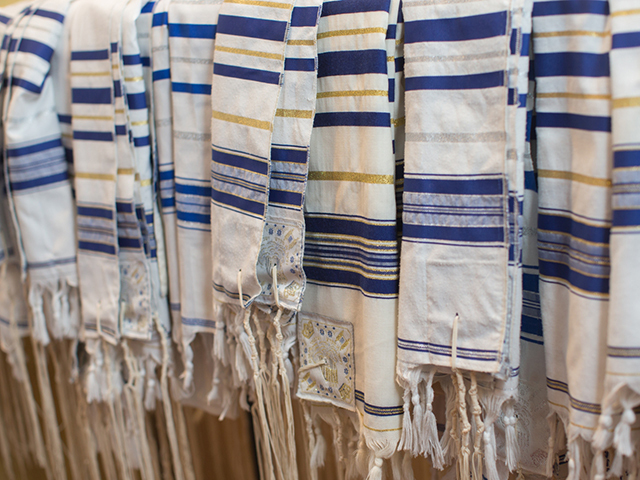 It is clear that, in their opinion, the ordination and permission to issue halakhic rulings that they received from their teachers or rabbis was sufficient enough approbation. One who wishes to demonstrate his love for their parents or wife does things for their benefit even if unasked; this is also the case with God. In Shir HaShirim it is written, “your beloved is better than wine.” Commenting on this, the Gemara states that the words of the scribes are better than the wine of Torah, with scribes referring to the rabbinic commandments, and these are all under the category of “your beloved.” This is to say, in order to demonstrate our love of God, we perform acts that we were not commanded, acts that we understand, on our own, to be pleasing to God, as it were. These words surprised me since they buttress rather than undermine the very claim that Kevodo is criticizing. If I understand correctly, this is precisely Kevodo’s analogy: If, of their own, will a person who loves someone does more than is requested by the beloved, does it not follow that those who are not obligated in a particular mitzvah should find ways to perform it nevertheless? R. Simlai gave the following exposition: What is the meaning of the verse, one who loves silver shall not be satisfied with silver, nor one who delights in multitude, with increase? One who loves silver shall not be satisfied with silver — this refers to Moshe, who, while knowing that the three cities beyond the Jordan would not harbor refugees so long as the other three in the land of Canaan had not been selected, nevertheless said: The charge having come within my reach, I shall give [partial] effect to it, now. One who loves silver shall not be satisfied with silver — this refers to Moshe. Rabbenu Chananel writes: “Moshe loved mitzvot and, therefore, felt that the ones he was obligated with were not enough, he wanted more of them” (ad loc). In Bava Metzia, the Mordechai went even further. In his opinion, there are cases where one is obligated to act beyond the letter of the law, and the requirement to do so has the full status of the law, so much so that it is possible that we can even coerce someone to act beyond the letter of the law. In my opinion, the two stories that are found at the end of the chapter, “Hasocher et Ha’omanin” (Bava Metzia, 83a), clearly support this opinion (see the Ritva, ad loc). We also find in the Acharonim a positive approach to those who seek extra-halackic opportunities to serve God. One opinion that particularly stands out is the Chatam Sofer. In his famous responsum to the Matesdorf community (O”C, 191, and in other places) he writes that the “Matesdorf Purim” they added to the calendar of their own accord to commemorate a miracle they experienced has the status of a biblical law. His ingenious opinion is based on the Gemara in Megillah (14a) that Israel sang praise when going from slavery to freedom, all the more so when going from death to life. With your permission, I will say that I know from personal experience that Kevodo’s appraisal of those “innovators” is not correct. Many of my friends and acquaintances pray in these minyanim and nearly all of them are completely God fearing; their intention is to dwell in the house of God, to behold His graciousness, and to visit His sanctuary. Their goal is to increase commitment to God’s Torah and to worshiping Him in a way that decreases the dissonance between what happens inside the synagogue and how they experience life outside of it. Additionally, as a general principle, it is impossible to judge the intentions of another, for “Man looks with his eyes, while God peers into a person’s heart” (Shmuel, 1:17). The Mishna in Avot (2:4) is well known: “Do not judge your friend until you’ve stood in his place.” The Gerrer Chassidim quote a saying in the name of the Chiddushei Ha’Rim who adds to the Mishna: “And you will never reach their place, therefore never judge.” These are insightful words. It is known that this claim was the claim of the Sadducees against the Sages in the time of the Tanaim: that the Torah discriminates against the rights of women regarding issues of inheritance. Therefore the Sadducees claimed that a daughter is to inherit with the daughter of the son (Bava Kama, 115b). And the Tanaim had strong words for them. With apologies to Kevod HaRav, the Sadducees were not the first to complain about discrimination against women in issues of inheritance. Hundreds of years before, the daughters of Zelaphchad complained, “Why should the name of our father be lost among his family because he had no son? Give us a possession among the brothers of our father” (Bamidbar, 27:4). And in the language of the Sifre, “Their eyes saw that which Moshe’s eyes did not see.” That is, there are times when women can see something that even someone as great as Moshe, who spoke with the Shekhina “mouth to mouth,” could not see. And God consented to their words unequivocally: “Correctly have the daughters of Zelaphchad spoken.” God listened to their claim (“God conceded the truth!” Avot D’Rebbe Natan, 37) and changed the laws of inheritance to make them relatively (as should be understood) more egalitarian. It is stated in the Gemara, Shabbat (117b), that the first Christians would make legal decisions counter to Torah Law (that a son and daughter would inherit as one, which has already been discussed (the connection of the Sadducees to the Heretics and first Christians) by the author of the Tzafnat Paneach (in his Responsa, 313), that the Christians inherited their approach from the Sadducees. And this type of motivation, to create new practices, is certainly prohibited, as is known to us from history. Go and see just what the end was for the Sadducees and the early Christians. It has been taught: R. Meir used to say: As men differ in their treatment of their food, so too do they differ in their treatment of their wives. Some men, if a fly falls into their cup, will put it aside and not drink it. This corresponds to the way of Papus ben Judah who, when he went out, used to lock his wife indoors. Another man, if a fly falls into his cup, will throw away the fly and then drink the cup. This corresponds to the way of most men who do not mind their wives talking with their brothers and relatives. Another man, again, if a fly falls into his soup, will squash it and eat it. This corresponds to the way of a bad man who sees his wife go out with her hair unfastened and spin cloth in the street with her armpits uncovered and bathe with the men. Bathe with the men, you say? — It should be, bathe in the same place as the men. Such a one it is a religious duty to divorce. According to this Gemara, Papus Ben Yehuda is the negative example of what happens to one who behaves in an extreme manner with his wife. Rashi, as printed in Chisronot HaShas, writes that Papus Ben Yehuda is Miriam Magdalin’s husband, the father of Jesus. What emerges from this is that, according to the Sages, Jesus’ mother became pregnant because of the extremism of her husband. In my humble opinion, the message of this Gemara is exactly the opposite of what Kevod HaRav writes. The Sages are claiming that Christianity came into the world as a result of extremism and discrimination against women, and they warn us about the detrimental consequences of such an extreme attitude towards women: heresy — Christianity — was born from this behavior. Even according to the Acharonim who think that the consent of the community helps permit publicly reading from the Torah, here, regarding women reading from the Torah, the essential concern begins from the woman’s perspective — that she shouldn’t have to compromise her modesty, from which it follows that it isn’t proper for her to serve as a Shaliacha Tzibur for Pesukei D’Zimra or Kabbalat Shabbat or to read the ketubah under the chuppah. The Torah, Prophets, and Chazal all write the opposite, that it is permitted at times to give into the desire to do God’s will, even if this leads, in a specific manner, to breaching the bounds of modesty. Two examples of many that stand out are the story of David when he returns the Ark of the Covenant (II Shmuel, 6) and the incident of the women’s mirrors used in the Tabernacle. When David returns the Ark of the Covenant he becomes so enthusiastic that he forgets the bounds of modesty. He wife Michal criticizes him, saying, “How did the King of Israel get himself honor today, who uncovered himself today in the eyes of the handmaids of his servants, as one of the vain fellows shamelessly uncovers himself.” David ignores the criticism and justifies his immodest behavior by saying that he acted this way to serve God (ibid., 6:21). As is known, this story serves as the Rambam’s source for the final halakha in the Laws of Lulav, that there is an “additional” obligation to rejoice during the performance of a mitzvah (as Rabbi Yerucham Fishel Perlow expounds in his book on the Sefer HaMitzvhot of Rav Sa’adya Gaon). “From the mirrors of the women who had set up the legions” — Israelite women owned mirrors, which they would look into when they adorned themselves. Even these [mirrors] they did not hold back from bringing as a contribution toward the Tabernacle, but Moses rejected them because they were made for temptation [i.e., to inspire lustful thoughts]. The Holy One, blessed is He, said to him, “Accept [them], for these are more precious to Me than anything because through them the women set up many legions [i.e., through the children they gave birth to] in Egypt.” When their husbands were weary from back-breaking labor, they [the women] would go and bring them food and drink and give them to eat. Then they [the women] would take the mirrors and each one would see herself with her husband in the mirror, and she would seduce him with words, saying, “I am more beautiful than you.” And in this way they aroused their husbands desire and would sleep with them, conceiving and giving birth there, as it is said: “Under the apple tree I aroused you” (Shir haShirim, 8:5). This is [the meaning of] the mirrors of those who set up legions]. From these [mirrors], the washstand was made. These women merited that their mirrors be fixed in the Tabernacle precisely because of their immodesty, since their actions all along were done to fulfill God’s will. In addition to all the above it is also appropriate to recall that I wrote an article Tze’i Lach Be’Ikvei HaTzon (11) in the name of the Rav “That anything that becomes a symbol of destroying religion, even if, in truth, according to halakha it doesn’t inherently violate any prohibitions, since it has become a symbol of breaching the bounds and of destroying religion, this causes it to become prohibited [and this has already been written about in the book Nefesh HaRav, 233]. And it is well known that the Reform and Conservative Jews breached the bounds in including women in a minyan, and counting women as rabbis, and calling women to the Torah. It is clear, then, that it is forbidden to imitate the heretics (see the Mishna in Chulin, 41a). Astounding! What is the difference between this and modernity and Zionism? Modernity and Zionism are also, at their core, impure. The intention of their founders was “to destroy religion” (modernity: the Maskilim and Reformers; Zionism: Herzl, Gordon, and the like). Nevertheless, they were purified through Rav Kook z”l (Zionism) and Rav Shimshon Rafael Hirsch z”l and Rav Soloveitchik z”l (modernity) (see Bechorot, 6b, “an unclean animal born from a clean animal is not unclean but clean”). In conclusion, in my humble opinion, all of the above arguments are secondary to Kevodo’s innovative twofold claim that 1) what Kevodo calls the spirit of the law has halakhic standing equal to that of what you call the letter of the law, and that 2) adjudication of the spirit of the law can be done only “with the agreement of giants of Torah who have knowledge of the entire corpus of Torah, and who can understand what is the spirit of the law.” Kevodo bases his claim on the verse in Yeshayahu (59:21). It is clear to me that this verse was brought as exegetic support. Certainly, Kevod HaRav has solid proofs for such broad claims. As one who still struggles with the concept of partnership minyanim and who attempts to present a position that fits with what I understand to be the correct “spirit” and “letter” of halakha on these matters, I ask if Kevodo could graciously elaborate on the topic. I would also like to hear more specifics about the criteria for successfully deciphering the true spirit: who, how, and what establish what the correct spirit is? What are the parameters that we need to establish for ourselves in our search for the spirit of halakha, generally and specifically, when we come to adjudicate a topic as difficult and complicated as ours, one with such far-reaching ramifications for our future? If the spirit is essential to judgment, it is important that both sides of the argument strive to articulate their approach to the spirit of the topic “clearly and with meaning” (Nehemiah, 8:8). May it be His will that the Shekhina rests in the deeds of our hands and that God’s name shall be sanctified by our work.